Find a Wildlife trip that explores Ranomafana National Park. There are 7 tours to choose from, that range in length from 13 days up to 34 days. The most popular month for these tours is June, which has the most tour departures. 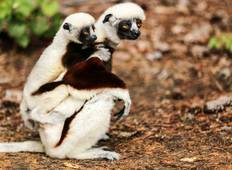 "My wife and I recently completed the Undiscovered Destinations tour "Secrets of Madagascar"...."